Freda Kay Popivchak, 70, of Toronto, OH, passed away Saturday, August 25, 2018 at the Trinity Medical Center West, Steubenville, OH. She was born January 11, 1948 in Toronto, OH. 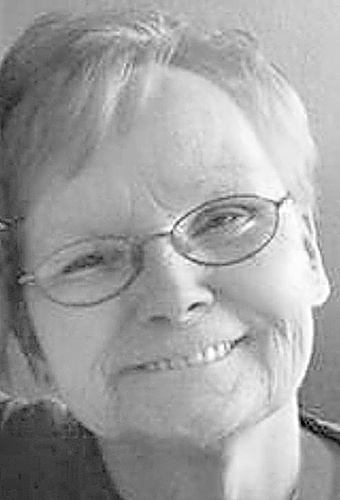 Kay was a member of the New Somerset Christian Church; was a 1966 graduate of Jefferson Union High School; loved to paint and remodel her home; loved collecting nick knacks and loved her dog Deklan James. Kay loved everybody and would help anybody in need. She had formerly been employed at the Mt. Carmel Hospital in Columbus and at the 1000 Franklin Drive In in Toronto. Kay was preceded in death by her parents, Harvey J. “Slim” Payne and Beatrice G. (Flanagan) Payne; husband Joseph M. Popivchak in 2010 whom she married August 26, 1978 and a sister, Barbara Masters. She is survived by her son, Shawn J. (Samantha) Flanagan of Hookstown, PA and daughter, Ranae K. Cain and her fiance Roger Band of Toronto, OH; grandchildren, Jonathan Edward David DeLong, Joel Michael Flanagan, Lacey Lynn Flanagan, Logan Joseph Cain, Andrew Michael Flanagan, Lindsay Ranae Cain, Sebastion Ryan Cain, Ayden Jacob Flanagan, Madilyn Raine Flanagan, Kensington Flanagan and Lillian Flanagan; great-grandson, Jayce Patterson; Kay’s fiance, Wayne Michael Thomas Schooley and step- daughter, Breanna Schooley both of Toronto. Visitation hours for Kay will be 2-4 and 6-8 p.m. Thursday, August 30th at the Clarke Funeral Home, 302 Main St., Toronto, OH. A celebration service of Kay’s life will be held 11 a.m. Friday, August 31 with Pastor Rob Minto .officiating. Friends and family are invited to Kay’s home, 601 N. Seventh St., Toronto following her services. Memorial contributions in memory of Kay may be made to the American Cancer Society,230 Monroe St., Suite 200, Chicago, IL 60606. To send condolences to the family, go to www. clarkefuneralhome.com.